The trusted team at McLennan, Steege, Smith has launched a new division to cater for the growing Australian trend of property purchases through self-managed superannuation funds (SMSF). 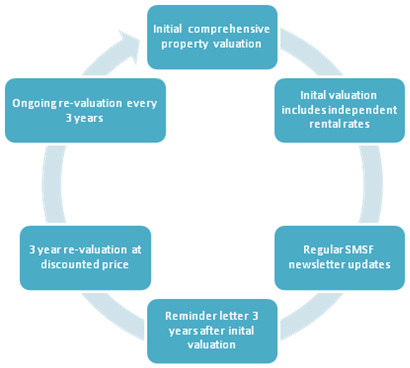 SMSF Property Valuations launched as a division of McLennan, Steege, Smith and Associates. More people are setting up self-managed Super Funds than ever before – this growth, coupled with changes to the law means that qualified property valuations now form an important element of decision making and compliance requirements. The ATO recommends that that assets owned by SMSF’s should be re-valued every three years to establish their current market value. While the team at SMSF will draw on the experience, knowledge and expertise of McLennan Steege Smith formed in 1999, they will also provide a unique product offering that caters specifically for the SMSF market. Superannuation is often a complex issue for many Australians and we believe it is SMSF Property Valuations job to work with clients to make things as easy and transparent as possible. We are confident that we can help because we know property valuation and we know customer service. Email us at info@smsfpropertyvaluations.com.au to find out how we can help.